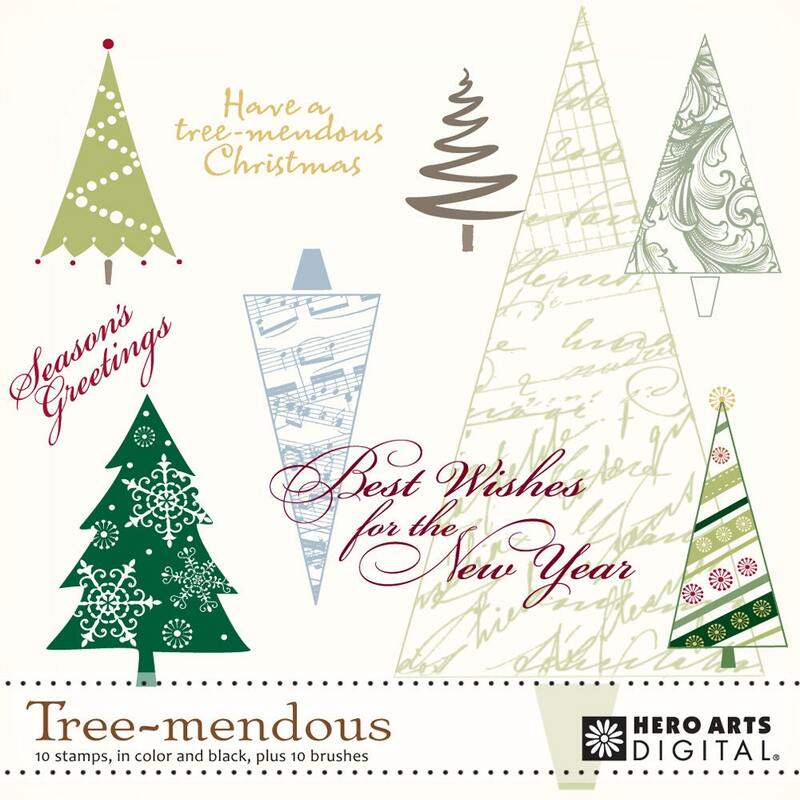 Lots of styles of holiday trees with coordinating messages. 10 stamps, in both color and black (pngs) plus 10 brushes. Ideas and extras included.